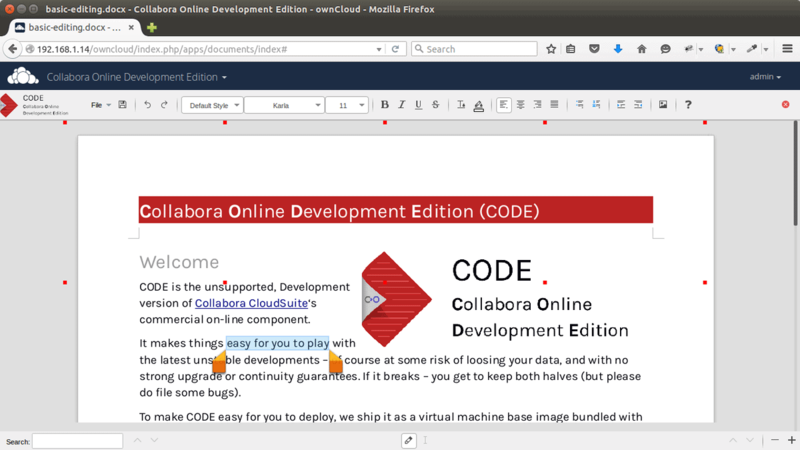 Collabora Online Development Edition -- short CODE -- is a virtual machine that brings LibreOffice Online and ownCloud server together. The edition is an online version of the popular free and open source LibreOffice application with OwnCloud, integrating the viewing and editing capabilities of the Office Suite in ownCloud. This introduces document viewing and editing capabilities to ownCloud, a service best known for providing users with the tools to run their own private cloud server or rent a privacy-focused cloud server. While ownCloud ships with a collaborative editing of rich-text documents, namely odt or doc files, and some apps to read other document formats such as Excel Reader, integration with LibreOffice improves the functionality significantly. As the name suggests, CODE is a development version and as such, may have bugs and other issues currently. CODE is shipped as a virtual machine image bundled with an ownCloud server. The distribution has a size of more than 700 Megabytes and can be downloaded directly or as a torrent from the project website. Instructions on how to run CODE once it has been downloaded to the local system are provided as well. Essentially, what you need to do is run the virtual machine image in VirtualBox or another comparable solution and follow instructions to get started. The core difference between CODE and Collabora Online is that the latter is a commercial undertaking subject to quality assurance and security testing while the former is "strictly an open development and innovation platform". Documents look identical on the desktop and the online version, and that includes tables, images and other styles used in documents. CODE is focused on getting developers involved in the project, but it is likely that a more suitable solution will be made for end-users eventually that enables them to use LibreOffice Online, either with or without ownCloud integration. For now, it is something to keep an eye on to see how it evolves. OwnCloud users will benefit from the integration as well as it adds to the capabilities of the product and improves it competitiveness against other services that offer document editing. In terms of LibreOffice, this seems like a win on the mobile / collaboration end, two places where it’s significantly weaker than Google Docs. One place where it beats Google’s offering is the status as open source and the fact that I can easily run my own server. Few companies I’ve worked for will accept anything else. For ownCloud this is an even bigger win: as they’re trying to compete with other services like DropBox and Box.net, a tool like this means capacity for a very strong web-based Microsoft Office viewer/editor. I’ve seen very few offerings outside of Microsoft that do anything there. Box.Net has a fairly good viewer but that’s about it. The whole effort reminds me a little bit of spoon.net (free option available, signup required) except that service isn’t open and doesn’t let you run your own server. That’s great news, as you don’t need an external service to have your documents in the cloud and also edit them online whenever you need. Furthermore you own your files, and nobody has access to them. Harnessing the power of OwnCloud is a plus, because it supports encryption, backups etc. An integration between owncloud and its onlyoffice document-server API would be a google docs killer. 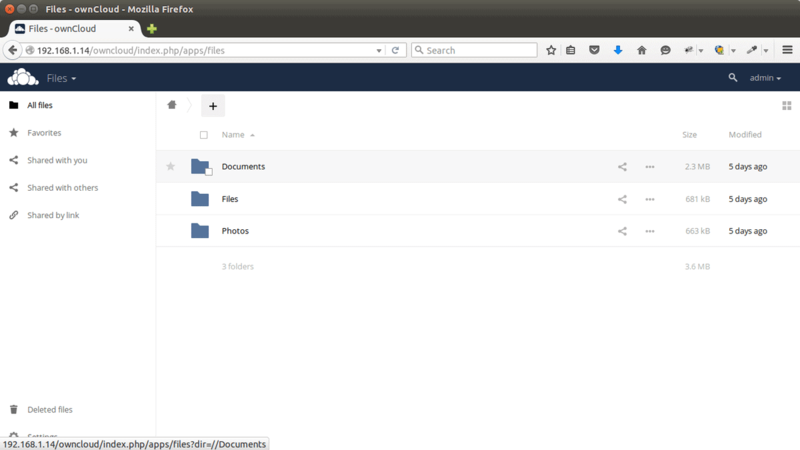 OffiDocs http://www.offidocs.com has launched a cloud system with LibreOffice Online. OffiDocs allows you to edit excel, word and powerpoint documents with your web browser.